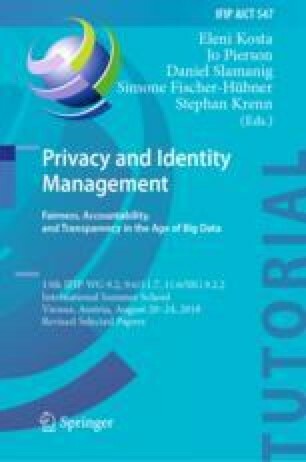 This paper investigates user perception regarding social robots and personal information disclosure. During a study two participant groups stated their attitude towards functionality, shared personal information and the interest of transparency and intervenability. The impact of technical background knowledge regarding users attitude and perception was examined. Participants working with robots have a more open-minded attitude to share personal information achieving a wider range of functionality. Both groups care about transparency of collected data and the possibility of intervenability. This work was supported by the Ministry for Science and Culture of Lower Saxony as part of the program “Gendered Configurations of Humans and Machines (KoMMa.G)”.